61 years, Indonesian Citizen, domiciled in Jakarta. Obtained Doctorate Degree in Business Management, University of Padjajaran, Bandung, Master Degree in Marketing Management, University of Padjajaran, Bandung, and Bachelor Degree in Economics, University of Pembangunan Nasional "Veteran". 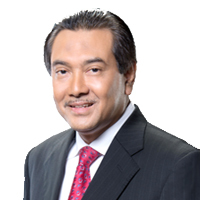 Previously served as Deputy President Director of PT Bank Negara Indonesia (Persero) Tbk (2015-2017), Managing Director of Network and Services at PT Bank Rakyat Indonesia (Persero) Tbk (2007-2015), Head of Regional Office of Jakarta at PT Bank Rakyat Indonesia (Persero) Tbk (2006-2007), and Corporate Secretary of PT Bank Rakyat Indonesia (Persero) Tbk (2005-2006). Appointed President Director of BRI for the first term since 15 March 2017 pursuant to the Annual GMS resolution and has passed the fit and proper test based on OJK Letter No. SR-70/PB.12/2017 dated 3 May 2017. 55 years, Indonesian Citizen, domiciled in Jakarta. 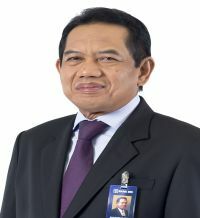 Obtained Master Degree in Management, Airlangga University, Surabaya (2007), and Bachelor Degree in Business Administration Universitas Brawijaya, Malang (1988). 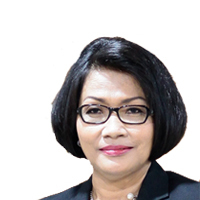 Previously served as Director of Consumer Business, PT Bank Rakyat Indonesia (Persero) Tbk (2016-2017), Director of Funding & Distribution, PT Bank Tabungan Negara (Persero) Tbk (2015-2016), Head of The Regional Office, Jakarta II, PT Bank Rakyat Indonesia (Persero) Tbk (2015), Head of The Regional Office, Banjarmasin, PT Bank Rakyat Indonesia (Persero) Tbk (2015), General Manager of The Special Branch, PT Bank Rakyat Indonesia (Persero) Tbk (2012-2014), and Deputy GM of BRI Regional Office of Yogyakarta (2010-2012). Appointed Director of BRI for the first term since 23 March 2016 pursuant to the Annual GMS resolution and has passed the fit and proper test based on OJK Letter No. SR-85/D.03/2016 dated 20 May 2016. In charge as Director of Institutional Relations. 57 years, Indonesian Citizen, domiciled in Jakarta. 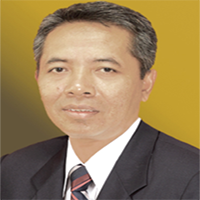 Obtained Master degree in Management, LPPM, Jakarta (1998), and Bachelor Degree in Fisheries, Bogor Institute of Agriculture, Bogor (1982). Previously served as Director of Corporate Business at PT Bank Rakyat Indonesia (Persero) Tbk (2017), Director of Micro Business, PT Bank Rakyat Indonesia (Persero) Tbk (2015-2017), Head of The Regional Office, Jakarta I, PT Bank Rakyat Indonesia (Persero) Tbk (2010-2015), Head of The Regional Office, Semarang, PT Bank Rakyat Indonesia (Persero) Tbk (2009-2010), Head of The Regional Office, Padang, PT Bank Rakyat Indonesia (Persero) Tbk (2006-2009), Head of the Information Systems Technology Division at PT Bank Rakyat Indonesia (Persero) Tbk (2003-2006). Appointed Director of BRI for the first term since 19 March 2015 pursuant to the Annual GMS resolution and has passed the fit and proper test based on OJK Letter No. SR-100/D.03/2015 dated 1 June 2015. In charge as Director of Network and Services. 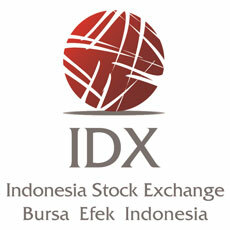 50 years, Indonesian Citizen, domiciled in Jakarta. Obtained Master Degree in Business Administration, Investment Banking, Emory University, USA (2000), and Bachelor Degree in Technology of Agriculture Industry, University of Brawijaya, Malang (1989). 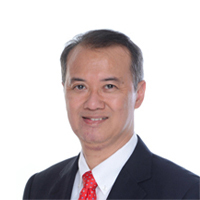 Previously served as Director of Strategy & Finance at PT Bank Rakyat Indonesia (Persero) Tbk (2017), Director of Finance at PT Bank Rakyat Indonesia (Persero) Tbk (2015-2017), President Commissioner at PT BTMU BRI Finance (2014-2015), Head of The Treasury Division at PT Bank Rakyat Indonesia (Persero) Tbk (2014-2015), General Manager, New York Branch at PT Bank Rakyat Indonesia (Persero) Tbk (2011-2014), and Head of Investor Relations Desk at PT Bank Rakyat Indonesia (Persero) Tbk (2009-2011). Appointed Director of BRI for the first term since 19 March 2015 pursuant to the Annual GMS resolution and has passed the fit and proper test based on OJK Letter No. SR-109/D.03/2015 dated 8 June 2015. In charge as Director of Business and Finance Strategy. 51 years, Indonesian Citizen, domiciled in Jakarta. Obtained Master Degree in Business Administration in Finance, Washington University, USA (1997), and Bachelor degree in Economics, University of Airlangga, Surabaya (1986). 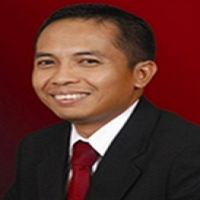 Previously served as Director of Risk Management at PT Bank Rakyat Indonesia (Persero) Tbk (2017), Director of Institutional Relations at PT Bank Rakyat Indonesia (Persero) Tbk (2015-2017), Head of The Regional Office, Jakarta 1, PT Bank Rakyat Indonesia (Persero) Tbk (2015), Head of The Regional Office, Makassar, PT Bank Rakyat Indonesia (Persero) Tbk (2014-2015), and Commissioner of PT Bringin Indotama Sejahtera Finance (2013-2014). Appointed Director of BRI for the first term since 12 August 2015 pursuant to the Annual GMS resolution and has passed the fit and proper test based on OJK Letter No. SR-207/D.03/2015 dated 4 November 2015. In charge as Director of Medium, Corporate and SOE Loans. 53 years, Indonesian Citizen, domiciled in Tangerang. Obtained Master Degree in International Management, University of Gadjah Mada, Yogyakarta (2008), and Bachelor Degree in Animal Husbandry, University of Gadjah Mada, Yogyakarta (1987). 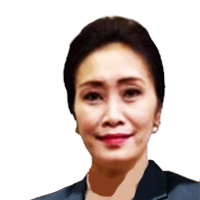 Previously served as Director of Human Capital at PT Bank Rakyat Indonesia (Persero) Tbk (2017), Director of Compliance, PT Bank Rakyat Indonesia (Persero) Tbk (2016), Head of The Regional Office, Bandung, PT Bank Rakyat Indonesia (Persero) Tbk (2016), Head of The Regional Office, Yogyakarta, PT Bank Rakyat Indonesia (Persero) Tbk (2015), Head of The Retail and Medium Business Division, PT Bank Rakyat Indonesia (Persero) Tbk (2014-2015), and Head of The Regional Office, Jayapura, PT Bank Rakyat Indonesia (Persero) Tbk (2012-2014). Appointed Director of BRI for the first term since 23 March 2016 pursuant to the Annual GMS resolution and has passed the fit and proper test based on OJK Letter No. SR-105/D.03/2016 dated 21 June 2016. In charge as Director of Micro and Retail Business. 55 years, Indonesian Citizen, domiciled in Jakarta. Obtained Doctoral Degree in Strategic Management, University of Indonesia, Jakarta, Master Degree in Communication & Signal Processing, Imperial College, University of London, UK, and Bachelor Degree in Electrical Engineering and Telecommunications, Institute of Technology Bandung, Bandung. Previously served as Director of Digital & Strategic Portfolio, Telkom Group, PT Telkom (2016-2017), CEO CFU Digital Service, Telkom Group, PT Telkom (2016-2017), President Commissioner, PT Metra Digital Innovation (Telkom MDI) (2016-2017), and President Commissioner, PT Multimedia Nusantara (Telkom Metra) (2009-2016). Appointed Director of BRI for the first term since 15 March 2017 pursuant to the Annual GMS resolution and has passed the fit and proper test based on OJK Letter No. SR-123/PB.12/2017 dated 21 July 2017. In charge as Director of Digital Banking & Information Technology. 58 years, Indonesian Citizen, domiciled in Jakarta. Obtained Master Degree in Agribusiness Management, Institut Pertanian Bogor, and Bachelor Degree in Economics, University of Jember, Jember. 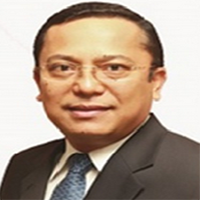 Previously served as Director of Operations and Network, Perum Jamkrindo (2015-2017), General Manager of The Special Branch, PT Bank Rakyat Indonesia (Persero) Tbk (2014-2015), and Head of The Retail Business Networks Division at PT Bank Rakyat Indonesia (Persero) Tbk (2011-2014). Appointed Director of BRI for the first term since 18 October 2017 pursuant to the Extraordinary GMS resolution and is currently awaiting the fit and proper test approval from OJK. In charge as Director of Human Capital. 52 years, Indonesian Citizen, domiciled in Jakarta. Obtained Master Degree in Management, University of Padjadjaran, Bandung, and Bachelor Degree in Dentistry, University of Airlangga, Surabaya. Previously served as Director of PT Bank Tabungan Negara (Persero) Tbk (2016-2017), Director of Commercial Business, PT Garuda Indonesia Tbk (2014-2016), Director of Marketing & Alternate Distribution, PT AXA Mandiri (2013-2014). Appointed Director of BRI for the first term since 18 October 2017 pursuant to the Extraordinary GMS resolution and is currently awaiting the fit and proper test approval from OJK. In charge as Director of Consumer Business. 48 years, Indonesian Citizen, domiciled in Jakarta. Obtained Master Degree in Management and MIS, Gadjah Mada University, Yogyakarta and Agder College, Norway, and Bachelor Degree in Agriculture Technology, Jember University.